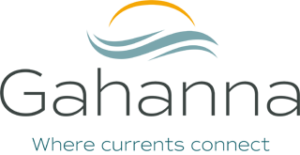 The City of Gahanna is an equal opportunity employer and is always interested in identifying highly qualified candidates to best serve the community. The City of Gahanna Human Resources Department only accepts online job applications. For those without home computers, the city provides access to a computer for application purposes. If you need help such as creating an account, finding jobs, applying for a job or checking your application status, click here. The salary ranges listed below for non-union positions list the minimum to maximum of the pay range for that position, as approved by City Council through salary ordinances. The City administration is authorized to hire an applicant with a rate between the minimum and the mid-point of the range without further approval. To apply, candidates should create an account by clicking on “Apply” within a job posting or click on “Applicant Log In” in the left hand toolbar. If you already have an account with governmentjobs.com, you can provide your username and password to start the application process. When completing the application, provide at least your last ten years of employment history and attach any required documentation. Although you can save your information at any time, we suggest having complete dates and numbers of your employment and certifications available as you complete your application. Resumes may be attached to support, but not replace a fully completed application. Incomplete applications will be rejected.